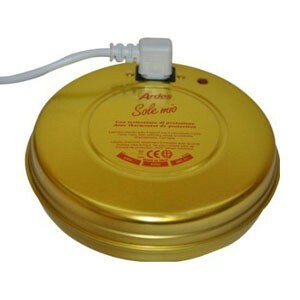 The Ardes Sole Mio warmer, after a short charging time, provides 3 hours of safe, cosy heat. Low energy consumption. 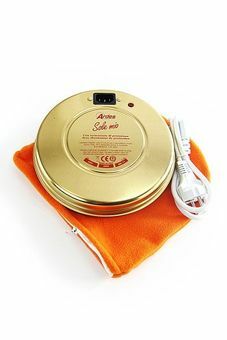 The Sole Mio electric warmer needs to be plugged in for just 3 minutes! 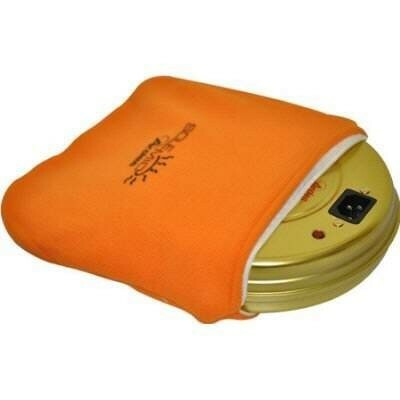 Fitted with an automatic thermostat and power light, once unplugged it can be used just about anywhere. With its low energy consumption of only 550 watts, it’s not only a handy device but also an efficient energy-saver. 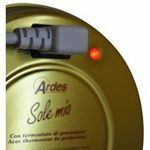 The heat accumulated by the Ardes Sole Mio warmer is diffused for 3 hours and can be used, for example, in bed or in the sofa, to heat cold hands or feet, to provide relief on sore muscles or why not, to keep your lunch box warm! The Sole Mio electric warmer is delivered with a cosy, washable protective cover and a detachable power supply cord of 75 cm.